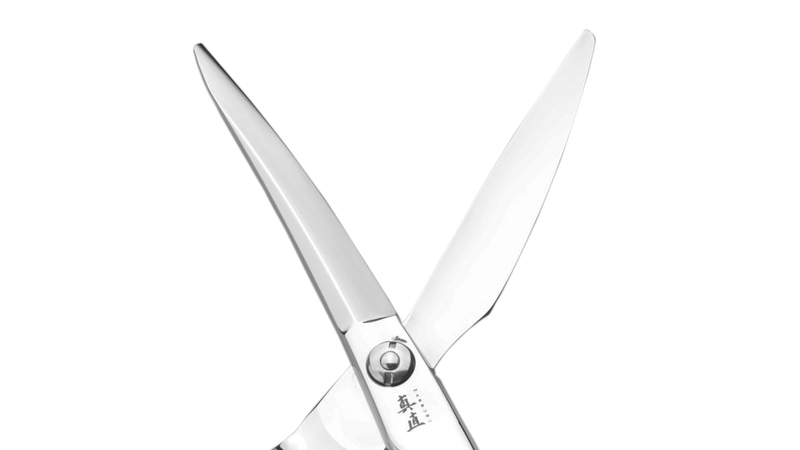 This elegant scissor can truly be described as a fine piece of Japanese craftsmanship. The extremely sharp blades and smooth cutting edge are perfect for slicing, deep-point cutting and detailing. Back-cutting will become a smooth and effortless operation. Ergonomically-designed with katana-style handles, you will enjoy both the comfort and pleasure that come, while cutting, with this elegant scissor.